No one seems to like New Year’s resolutions these days. It seems way easier to make yourself heard by talking about how much they don’t work. That’s mostly right, but I don’t think New-Years-Resolution-nihilism is the best way to go either. It’s too defeatist. The key is to keep the resolutions sufficiently vague and lightweight. You need a behavioral glidepath, not a behavioral bootcamp. It’s always a good idea to make necessary changes as quickly as possible, but unless you’re firing on all cylinders on January 1, a thoughtful reassessment of what you’re doing right and wrong can’t hurt. It’s very lightweight and requires no long term commitment. It’s totally a la carte. It has widespread benefits that overlap into different areas of your life: mental, physical, and spiritual/philosophical. It’s very adaptable and can easily be molded to your current situation. Why Does Sleeping Outside Help? There are three big benefits to sleeping outside. Let’s talk about each of them in a little more detail. When you’re awake your blood pressure goes up, you secrete more cortisol (the stress hormone), and your nervous system fires off electrical signals at a higher rate. When you’re asleep your breathing slows down, your body temperature cools, your growth hormone goes up, and your body produces chemicals like melatonin and GABA which depress your nervous system and cause you to relax and get sleepy. Your body has a set of genes that trigger on and off over 24 hours to turn the knobs on these different processes. They’re appropriately called clock genes. A lot of their function is innate. Think morning and night people. But the biggest environmental variable affecting your clock genes is your exposure to light. There’s a protein in your eye called melanopsin that turns on your “daytime” processes like increased blood pressure, stress hormones, and higher blood pressure by regulating your clock genes. It’s activated by blue light. Like the sky. Ideal sleep cycles are aided and abetted by lots of exposure to blue light in the middle of the day and a gradual tapering off towards the evening. Other shades of light have much less of an effect on the activation of melanopsin. When you’re exposed to blue light your body suppresses its production of melatonin, the chemical that makes you sleep. Compare that to most people’s daily rhythm: you spend all day inside an office, and then at night watch TV or sit in front of your computer. When you go to bed your body still thinks it’s mid-afternoon. People with sleep disorders usually have dysfunctional circadian rhythms. So do people with mood disorders like schizophrenia. When depressed people undergo light therapy the effect is usually stronger and faster than taking an anti-depressant. Going camping is an effective way to treat insomnia. You know the wintertime blues? That’s almost entirely caused by disturbances to your light exposure. Night time makes you want to sleep, and daylight resets your circadian clock. 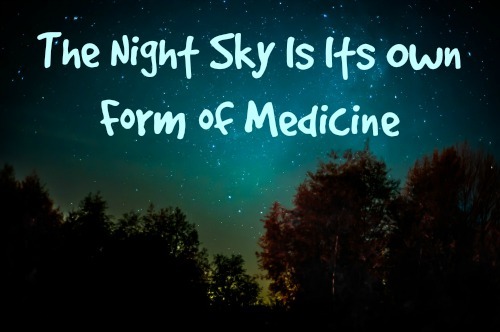 A night under the stars gives your body the optimal way to reset your sleep/wake clock. Remember those stories in the news about Michael Phelps’ 12,000 calorie/day diet? The reason he could eat like that is partly due to the fact that he exercised so much, but also because he spent all day in the swimming pool. 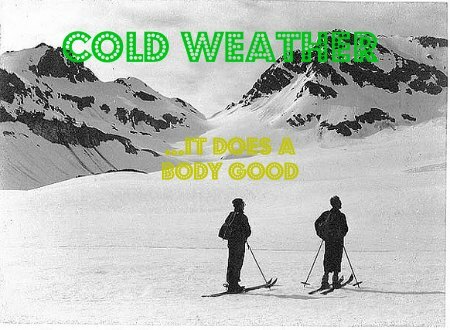 Consistent exposure to the cold forces your body to work extra hard to maintain your body temperature, which increases your body’s ability to turn calories into heat. Believe it or not, your body does this with fat. Brown fat. White fat hangs off your belly and makes you obese. Brown fat helps you regulate body temperature, mostly by turning food calories into heat. Obese people have inactive brown fat. Annoyingly skinny people that eat whatever they want can do so because they have very active brown fat that regularly turns excess calories into body heat. Being in a never-ending temperature controlled environment causes your brown fat to turn itself off because it’s not needed. Allowing for some variability in temperature keeps it on its toes. When people with metabolic syndrome turn down the thermostat at bedtime their insulin sensitivity improves within a month without making any other changes. 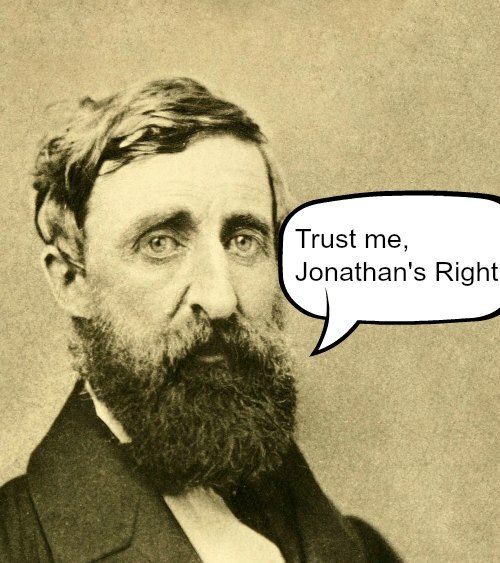 Henry David Thoreau was a 19th century philosopher who championed the examined life. He thought contentment could only be found by listening to your own internal dialogue and ignoring the accoutrements of society. Disobedience was okay if your points were valid. Wealth should be rejected if it took you further from your ideals. He found solace in contemplation, usually in nature. (Which he chronicled in his book Walden). Freedom was not obtained by accumulating riches, but by eliminating the unnecessary hurdles which kept you from finding your true self. In this sense, poverty can be a more direct approach towards freedom than abundance. Most of us do not have the time or inclination to lock ourselves in a log cabin for 30 days. That’s fine. But an occasional jaunt into nature provides a healthy dose of honest meditation, with just enough unfamiliarity to make it feel like an adventure. When I deliberately reduce my surroundings to nothing I’m overcome by a sense of prowess and resilience. If I can strip away my existence to the absolute bare essentials and feel fine then there’s nothing anyone else can do to take away my sense of being. Taking calculated risks comes more naturally. Irreverence courses through my veins. Sanguinity drips through my pores. Of course you’re not really in any danger, which is why it’s so great. The rest of the world is only a few blocks away. But for that small slice of time when you’re on your own you’re truly a master of your own destiny. Previous Post If You Have a Relative With Parkinson’s, Read This. Amazing piece. Researchers say the comforts of modern living, including consumer electronics and fluorescent lighting, change our melatonin levels, which explains why so many of us feel like going right back to sleep as soon as we wake up. so sleeping outside is a good idea. Great post. I would not mind sleeping outside.It’s a good idea.